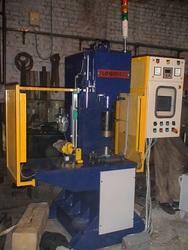 We are one of the leading manufacturers of Special Purpose Hydraulic Press. These special purpose hydraulic presses are manufactured using the finest quality materials that are procured from the most reliable sources in the market. Our range of hydraulic SPM'S are widely appreciated by our reputed clients for its superior quality and durability and is available at a competitive market price. These SPM'S are custom made as per our clients specification. We are the leading manufacture, supplier and exporter of hydraulic plywood press machine as per customer's given specifications. 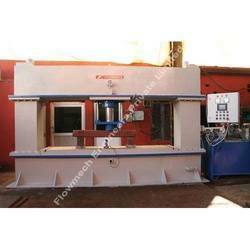 These presses are manufactured using finest quality materials procured from most reliable sources in the market. This allow us to deliver in them optimum functionality standards, thus gaining wide appreciation from our reputed clients. We are the leading manufacturer of Hydraulic Powder Compacting Presses. 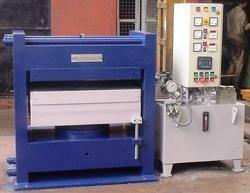 Powder Compacting Press offered by us is ideally suited for powder compaction applications. These are capable of forming complex shape molded parts with uniform density throughout varying cross sections for easily handling different range of powder materials. In these presses, powder is pushed into cavity & compound into shapes of the product. 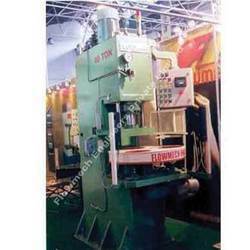 Powder Compacting Press is also used in various industries like tabled making, brake lining etc. 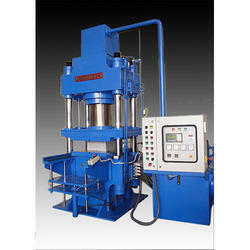 We are the leading manufacturer and exporter of Hydraulic Squeezing press. 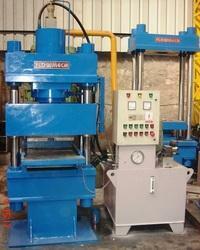 We are engaged in offering Hydraulic Squeezing Press. These products are manufactured using optimum quality raw material and technically advanced machines. Manufactured in compliance with global quality standards, these products are used in various industries. Before the final dispatch, these products are checked on different parameters by our qualified quality inspectors. We are the leading manufacturer, supplier and exporter of Hydraulic Lab Testing Machine for R & D purpose. We offer customers precision designed and engineered hydraulic lab testing machines that are designed to meet customer's need for compact as well as high efficiency material life tester. These Hydraulic testing machines operate very easily in meeting the requirement to ultra quiet for test lab use. Further, the unit delivers accurate results and come incorporated with electronic logic circuitry and motor starter that are incorporated into assembly section. We are the leading manufacturer and exporter of Hydraulic testing machines as well as hydraulic lab testing machines as per customers given specifications. These can be made available with die cushion / ejection feature as well as with pressure transmitter for precise pressure sensing. Further, these are also available with load cell & l.v.d.t for precise load & stroke control sensing and digital temperature controller for precise temperature control. We are the leading manufacturer and exporter of Hydraulic Presses in all over the world. 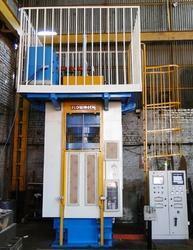 For effective lifting of heavy metallic material, we provide the H framed Hydraulic Press to our customers. The hydraulic press is capable of generating enormous lifting and moving power to the capacity of 600 tonnes with the application of small hydraulic force. It has a gauge attached to it that displays the pressure generated and can be used to alter the same. Customized and manufactured with due accuracy, these machines are an essential component of heavy electrical and mechanical industries. It is available in wide miscellaneous of configurations, sizes, and capacity to cater to the needs of the customers. Baling Chamber 30" * 40" * 77" - 20" * 22" * 45"
We are the leading manufacturer and exporter of Hydraulic Horizontal Baling Press. Flowmech horizontal hydraulic baling press is precision designed for successfully processing ferrous or non-ferrous scrap in all forms. Some of the waste it can process include paper waste, sugarcane waste, metal chips waste, fruit chips as well as other leftovers that can be compressed into cuboid bales. Further, the arrangements provided to tie the bales manually with help of grooves is also provided. This makes it easy for transportation as well as storage applications. Oil Tank Capacity 900 lts. 600 lts. 300 lts. We hold expertise in manufacturing quality hydraulic preforming press. These are available of two types - 4 pillar type preforming press as well as C-frame type preforming press. 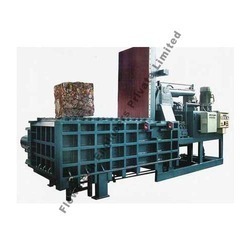 Our machines are specially designed for preforming of carbon powder for brake lining, disk pads brake shoes, briquette/ pallets industries, compacting / preforming as well as manufacturing non-ferrous, iron based and anti friction powder components. All these machines are compact, high speed as well as designed to deliver effective performance. The Press is available upto 2000 tons capacity as per the customers requirements. 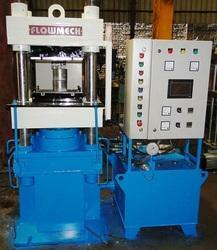 Looking for Special Purpose Hydraulic Press ?